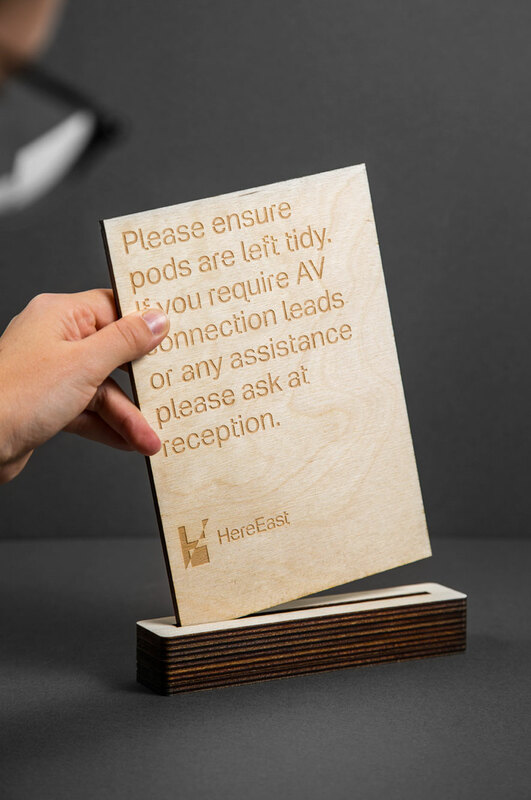 WeDesign were asked to create a set of signs for customer desks around the Here East campus. 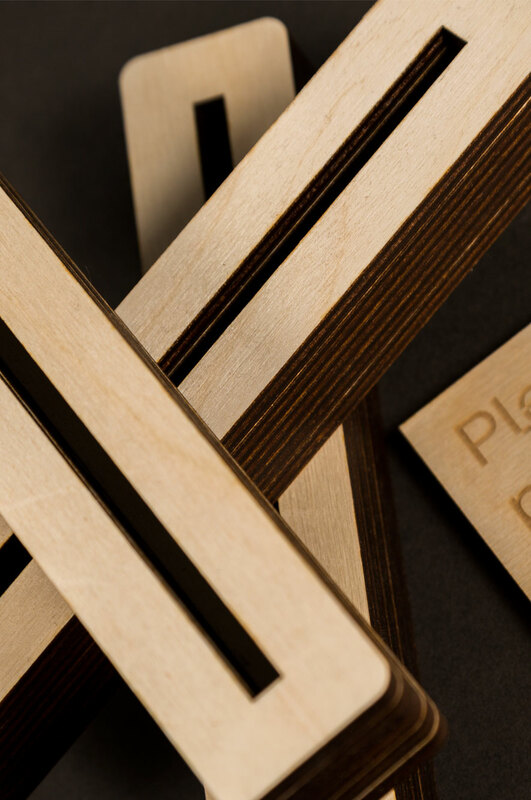 We manufactured a set of ply board signs utilizing a laser cutting machine. 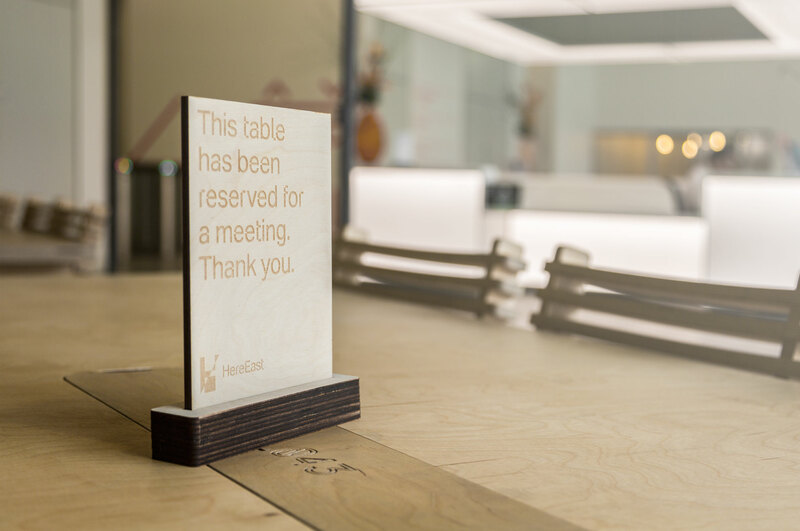 The wooden signs were then placed in custom bases to stand up on a table. 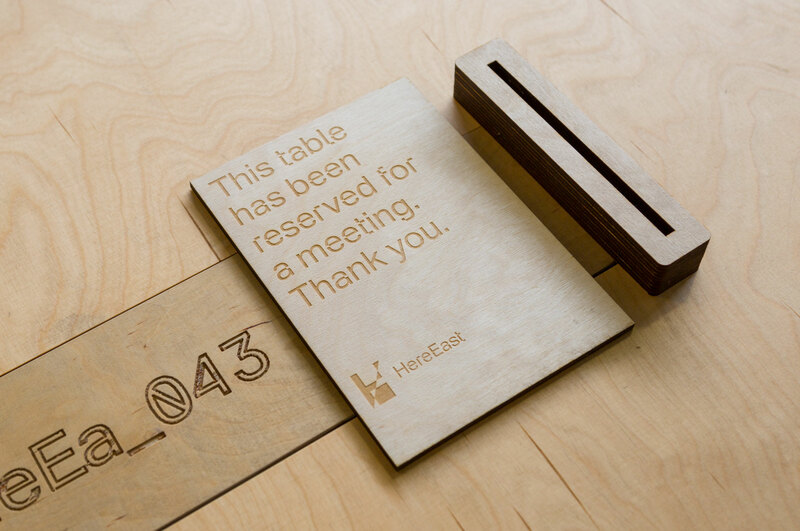 The ply board matched the existing furniture on site, but had a completely customized look and feel.